An advertising campaign to tackle a tricky topic. 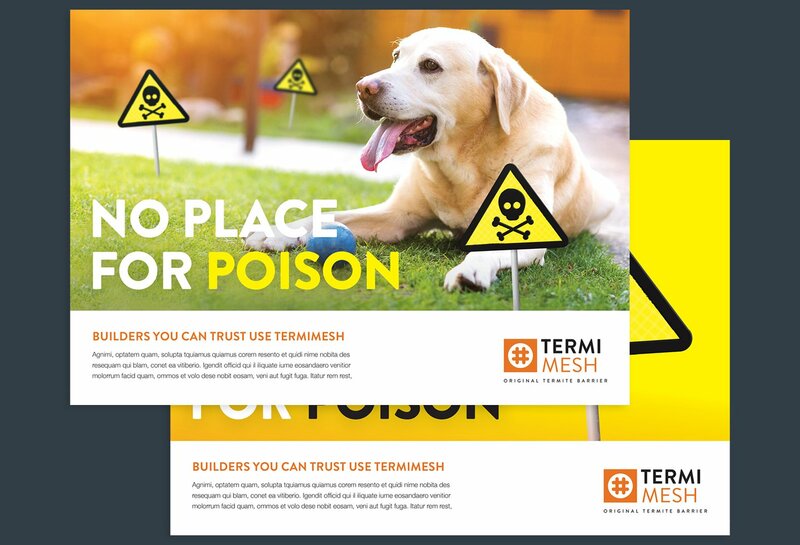 Termimesh are a long-time client, we understand their brand, and have created many successful campaigns with them. 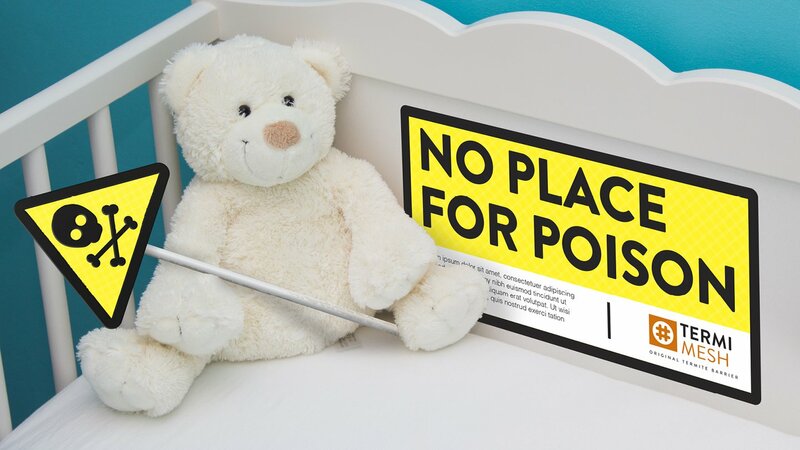 The ‘No Place’ campaign is one of the more recent challenges we have designed an advertising solution for. Read on for the full story and our approach to a campaign with some challenging marketing messages. 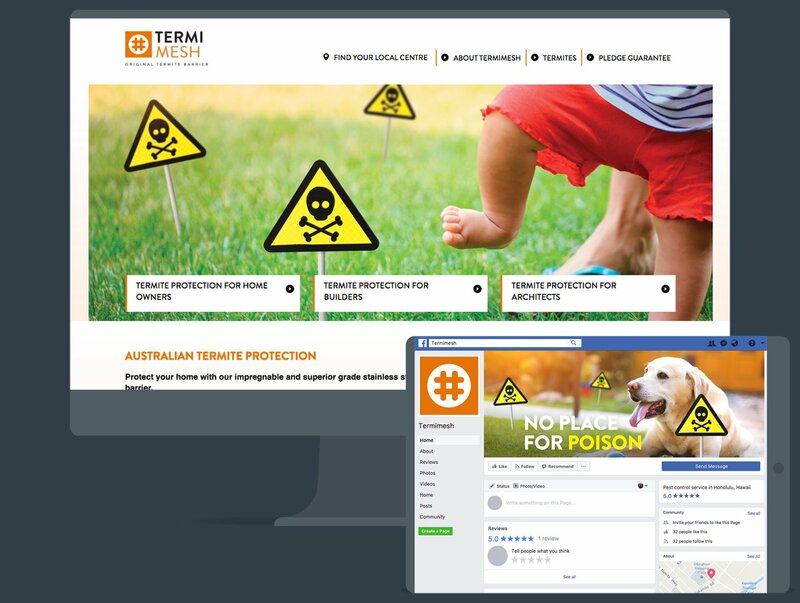 I first spoke to Termimesh back in 2010 and since then we have helped them with rebranding, websites and campaigns like this one. Our design processes and advertising outcomes have built a trusted and valued relationship. 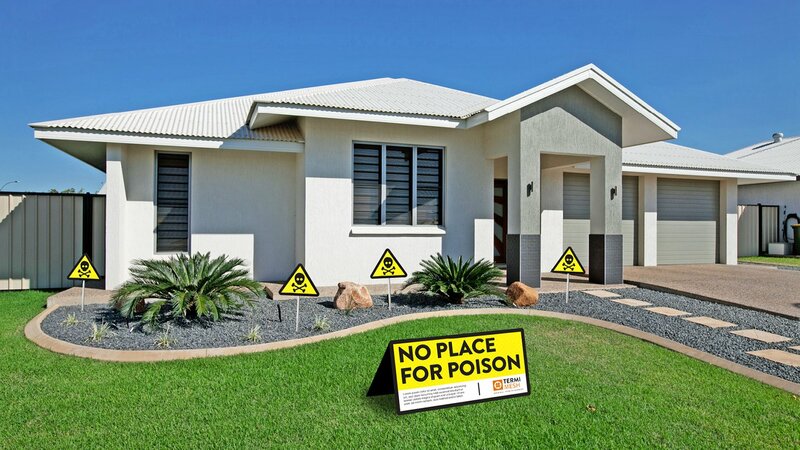 This campaign presented an interesting challenge around a tricky topic - chemical pest treatments in new homes. We wanted the campaign to be relevant to different groups of people, with different motivations. The concepts we created ranged from hard-hitting to soft and cuddly and the Termimesh team chose the campaign you see here. It achieves engagement by combining cute with toxic danger. We presented the strategy and concept to the national Termimesh partner network and it was well received by all stakeholders. When your business has a marketing communications challenge to overcome, speak to us. We use strategy to find the strongest messages and develop creative options to choose from. Of course, there is more than one way to create an advertising campaign. 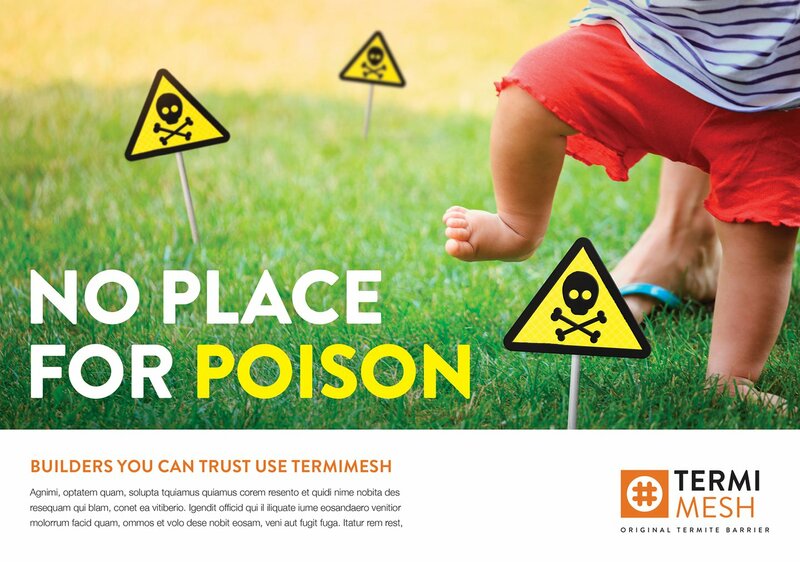 This is the way we do it at The Cut, and we put our processes to work on this campaign for Termimesh. In a similar way to the approach we take with logo and brand design, we start with a stategy. Central to a campaign strategy is understanding the key messages that the client wants to tell people, about their product or service. Next we want to understand who the audience will be, and what matters to them in this space. For this campaign, we wanted people who are thinking about build a new home to consider the pest control measures that are used. 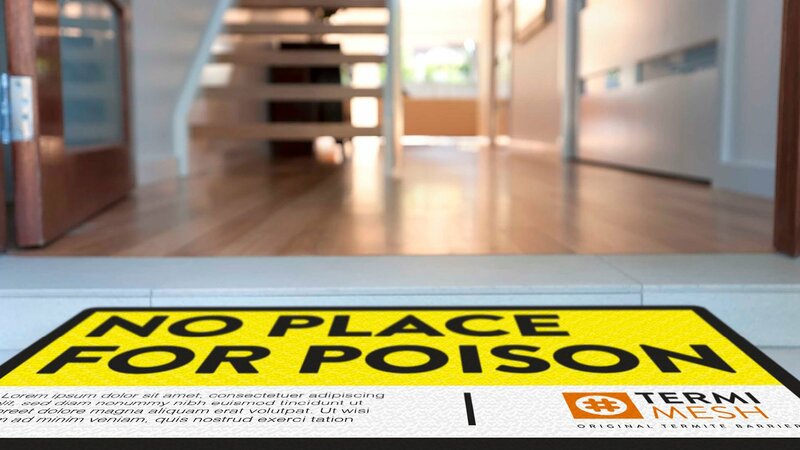 Some builders use chemical treatments, that can be toxic. And Termimesh use a stainless steel mesh, a physical barrier instead of a chemical one. The audience tend to be young families, with children and pets and gardens. Important to them is the safety and happiness of their children. So, you can start to see now, how an understanding of the products and the audience, can lead us to a campaign that tell the message with power and interest. 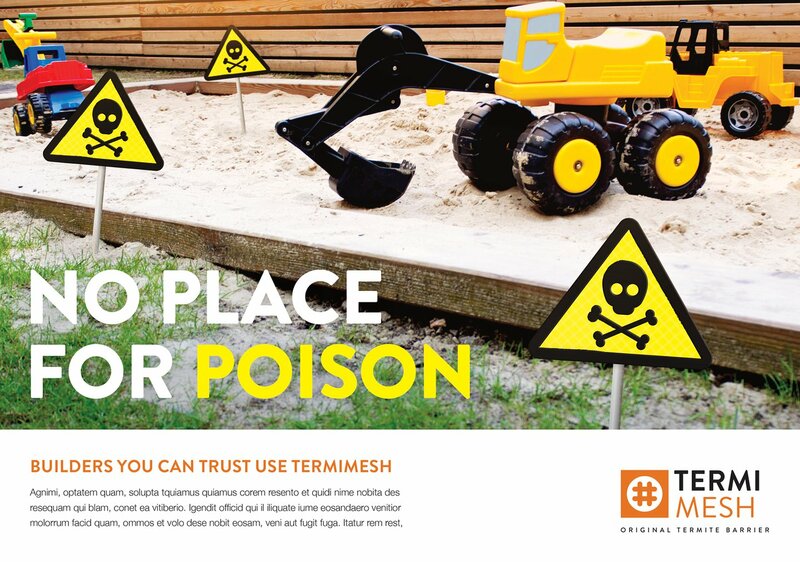 For this advertising campaign, it was also important that the building companies who use Termimesh also see and like the campaign. Which they did. When we develop campaigns at The Cut, we make sure that the main concept is simple and flexible enough to work across all media, and these days that means social media, websites, digital campaigns, content downloads as well as traditional media like press or print collateral. If your business is looking for new ways to get your key messages noticed, get in touch and we can talk about what it takes to make that happen for you.